As you can see the blog has a new look (again!). Last year My Foodcourt had moved to Cucumbertown,which unfortunately had to shut shop. I have spent the last couple of months learning, DIYing(yes there is such a word 🙂 ) different design/technical aspects of this self hosted WP blog. I am still working on it, since the move to & back from CT has messed up many old posts. Kindly bear with me till I can review & correct each and every post.I am not someone to make New Year resolutions, since I struggle to keep them.But this year I plan to improve the frequency of posts on My Foodcourt! Also this year my friend S & me plan to explore some unique culinary hot spots of new/old places & document our Culinary escapades here in our Culinary travelogue. 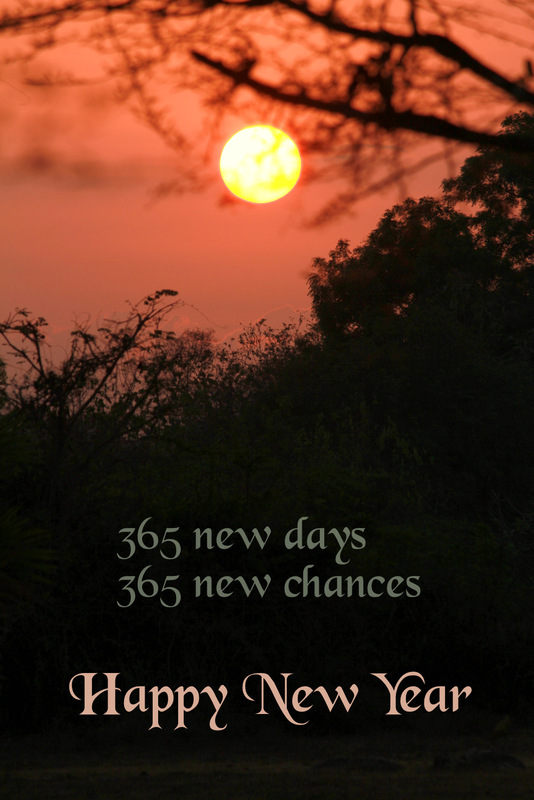 With this exciting news I would like to wish all my readers a very Happy,Healthy & Peaceful New Year. Hope 2017 is packed with good food & travel for all of us! 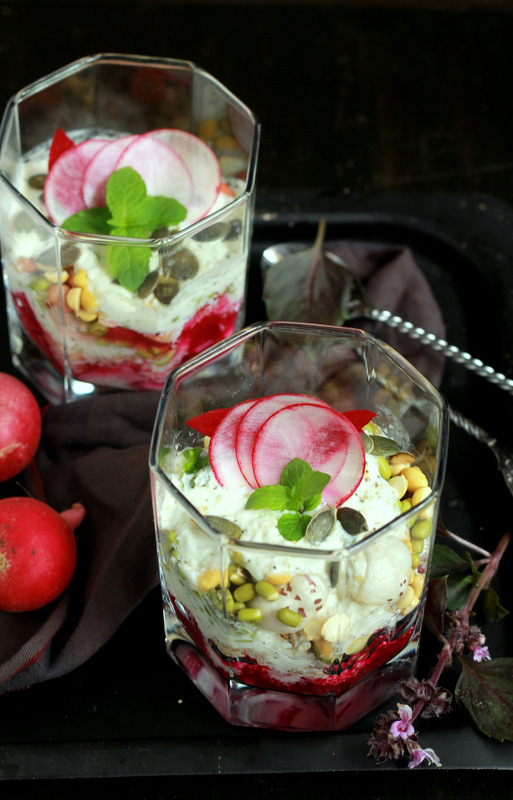 This Savoury Yogurt parfait is as refreshing as this New Year & the newly refurbished blog. It is a simple no-cook recipe in which vegetables, nuts, sprouts, herbs, popped seeds/grains pair together appetizingly with yogurt. It is a great option for a low-sugar (or people like me, who do not want to start the day on a sweet note:) ), wholesome, savoury breakfast /lunch/ snack. Packed with nutrients beetroot, carrot, and the seasonal red radish also add colour to this pretty layered dish. You can use any other vegetables like cucumbers, tomatoes, zucchini etc. This is a basic recipe for building your own parfait. I love using popped grains/seeds (lahi) like amaranth, jowar, makhane in my daya to day cooking.You can use popped grains/seeds, nuts, seeds, sprouts of your choice. The parfait can be spiced up with chaat masala/tzatziki mix/cajun mix. Once the popped grains and seeds are added, the Savoury Yogurt Parfait needs to be consumed immediately to retain the crunch.You can also make a parfait bar for a party/get-together where everyone puts together their own parfait with whatever combination they like. 1/4 cup mixed popped grains/seeds (lahi) like amaranth, jowar, makhane etc. Place half of the chopped vegetables at the bottom of a glass. Spread about a tablespoon of the yogurt over it. Spread half of the peanuts, chana, sprouts over the yogurt. Again spoon over a tablespoon or two of the yogurt. Add the popped grains and seeds next. Garnish with sunflower seeds, mint leaves, and sliced radish. Repeat this with the rest of the ingredients in another glass. The recipe seems long winded but is very easy to put together.You can choose any of the ingredients of your choice. 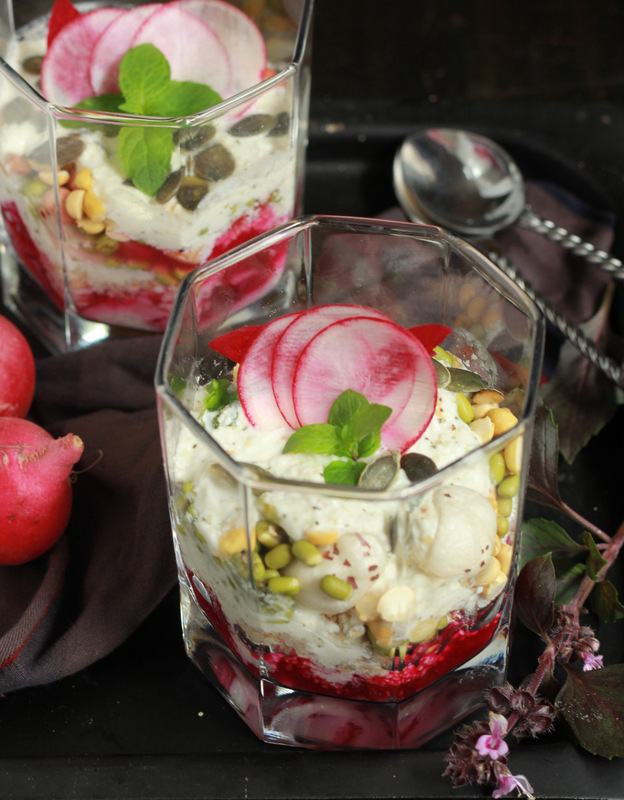 Loved the layered take on a Raita! @The Better Breads Baker- 🙂 Thank you for you comment!